Many homeowners love their houses but hate their basements. The reasons vary, from having a basement that stinks to having one cluttered with debris and junk. At ServiceMaster of Lincoln Park, we want to help people across the Chicago, IL, area with their toughest basement problems. Our basement cleaning services have one goal: to create a basement atmosphere that leaves you proud of your space! Contact our team today to learn more about our basement cleaning services. With cost-effective pricing and second-to-none solutions, ServiceMaster of Lincoln Park should be your first choice for basement clean-up and junk removal services. 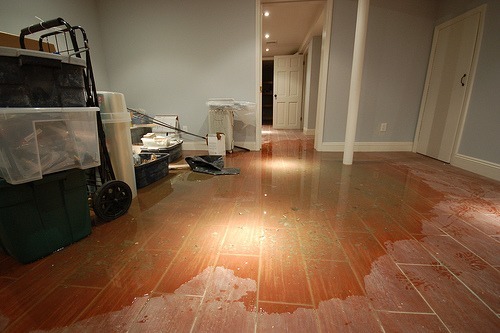 Water damage clean-up – Has your basement been the victim of water damage? We’ll come into your home or office building and thoroughly clean up the mess. We’re accustomed to water damage restoration, and we have a proven process for dealing with this kind of issue. Fire damage clean-up – Did you have a basement fire recently, or years ago, that left the basement in a terrible condition? We are able to effectively clean the area and remove any lingering odors that may be trapped within the walls and ceiling. Mold remediation – Mold and mildew aren’t just making your basement smell nasty. They could also be making your home or commercial building “sick.” Many people are allergic to mold spores, and so are some pets. Our mold remediation processes allow you to breathe healthy again. Basic wipe-down of surfaces – Sometimes, the cleaning up process involves simply and thoroughly wiping down all the surfaces of your basement. From windowsills to walls, we’ll sanitize and clean every surface that’s making your basement look and smell terrible. We use products you can feel good about, too, including environmentally-friendly ones. Basement junk removal – Yes, we’ll help you finally get rid of all the junk that’s in your basement. Sometimes, that can make all the difference between having a livable basement and one that’s completely unusable. Whether your end desire is to finally be able to enjoy your basement and possibly turn it into an extra place to hang out or use it as an additional bedroom, a dry storage area or a wonderful home office, contact ServiceMaster of Lincoln Park right now. There’s no need to be embarrassed about your basement anymore. Add value to your home or commercial property by having a basement that’s meant to be seen and used — not shunned. Contact us for an appointment and walk-through of your Chicago, IL, basement. Our goal is for you to love your basement — maybe for the first time!